Thread by @DemWrite: "IMMEDIATE ACTION A Dept of Interior proposed rule change will allow the agency to arbitrarily dismiss FOIA requests for “vagueness” & li […]"
CIA just published its 2018 #FOIA stats, they closed out the year with 2009 backlogged requests. Their numbers from last year show that, at any given time, I make up about 10% of their backlog. BTW, if you haven't yet now's the time to file #FOIA requests with different agencies for their lists of vexsome/high volume requesters. I now have 250 pending #FOIA requests with CIA. At last count there were 2,060 in their backlog. In other words, I now account for 12.1% of their backlog. What percentage of an agency's FOIA backlog is too much? It's CIA's 71st birthday, so today I'm filing 71 #FOIA requests today. Send them one or two, yourself! 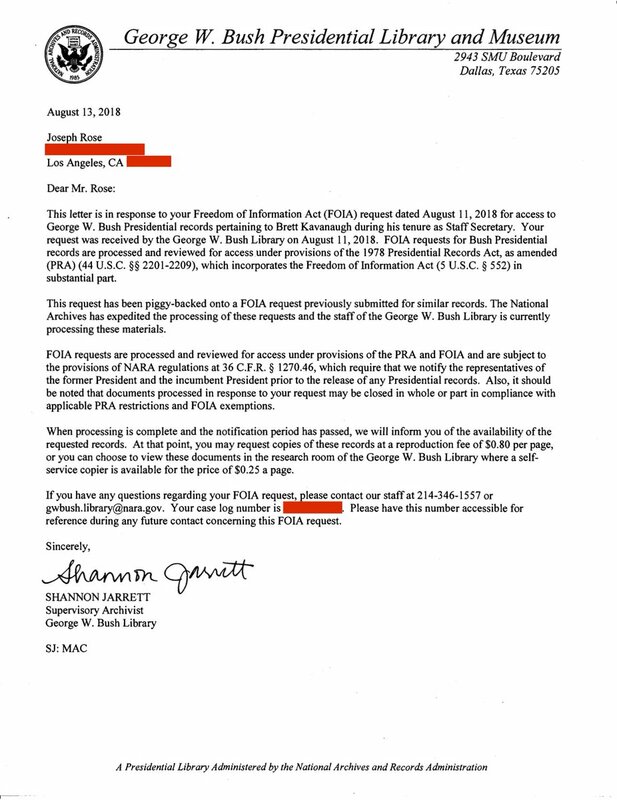 1/ THREAD - Here's my experience in attempting to #FOIA Brett #Kavanaugh's records as GW Bush's Staff Secretary. Spoiler alert, I didn't get them which is why it's all the more critical that his nomination be postponed until we do. 2/ On Saturday, 8/11/2018, I submitted my first ever FOIA request asking for all records relating to Brett #Kavanuagh's tenure as Staff Secretary for the GW Bush admin. I didn't really know what I was doing but thought it was worth a shot.